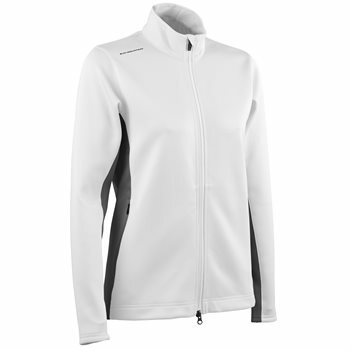 The Sun Mountain ThermalFlex jacket features upgraded fabric with more stretch and a softer hand. The significant 4-way stretch offers extreme comfort and freedom of movement. The jacket is designed with a stand-up, zip through collar; a two-way zipper; a locking, YKK zipper pull and zippered hand warmer pockets.